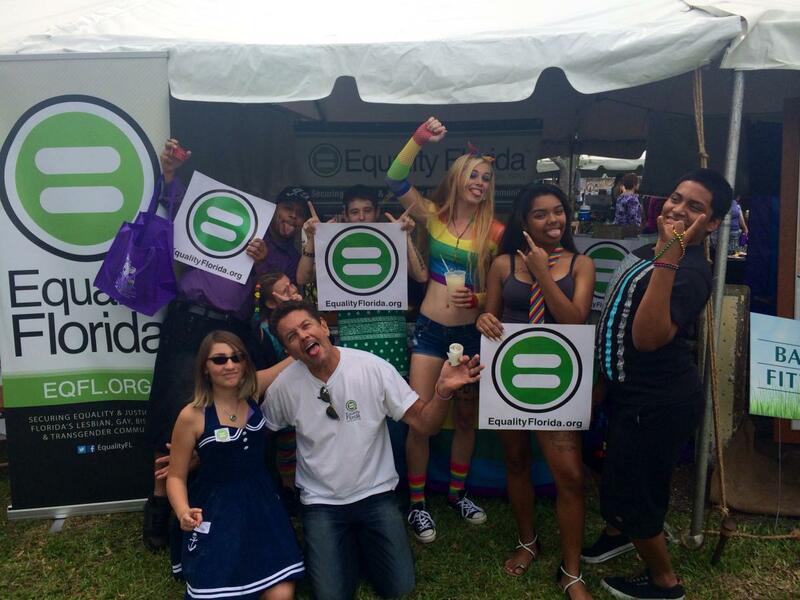 Equality Florida had an awesome time at PrideFest of Lake Worth and the Palm Beaches! The entire event was buzzing with energy! Our weekend started off with an exciting training Friday before the event- where each volunteer got excited to get to work, while gathering important information about the Florida Competitive Workforce Act! Saturday and Sunday’s event included live music, performances, food trucks, and hundreds of pro-LGBT booths. 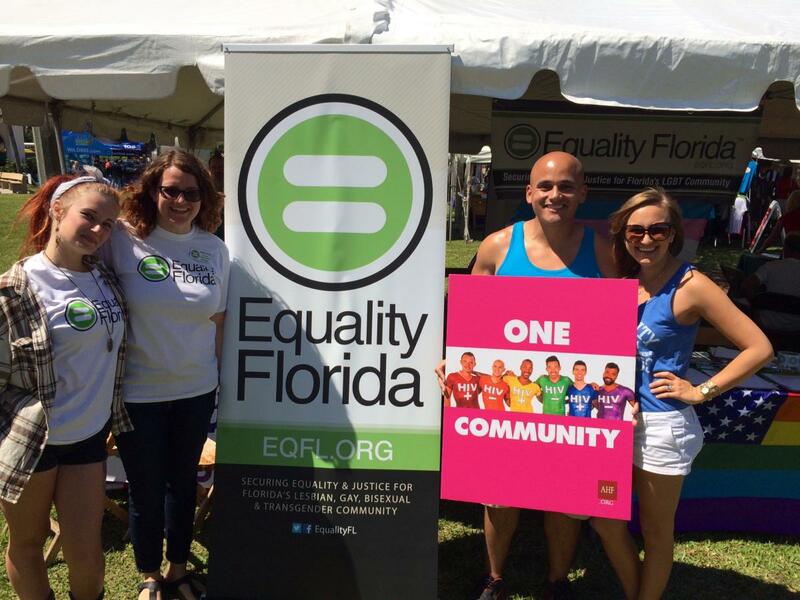 During the festival, Equality Florida was proud to connect with individuals and local businesses in the area! Two Palm Beach PNC bank employees called Florida House leadership to encourage them to keep the Transgender Discrimination Bill OFF the agenda; the Aids Healthcare Foundation took some time to stop by our booth and snag picture with us; and Lake Worth Mayor Pam Triolo signed our pledge to support the Florida Competitive Workforce Act, to end discrimination for LGBT Floridians. 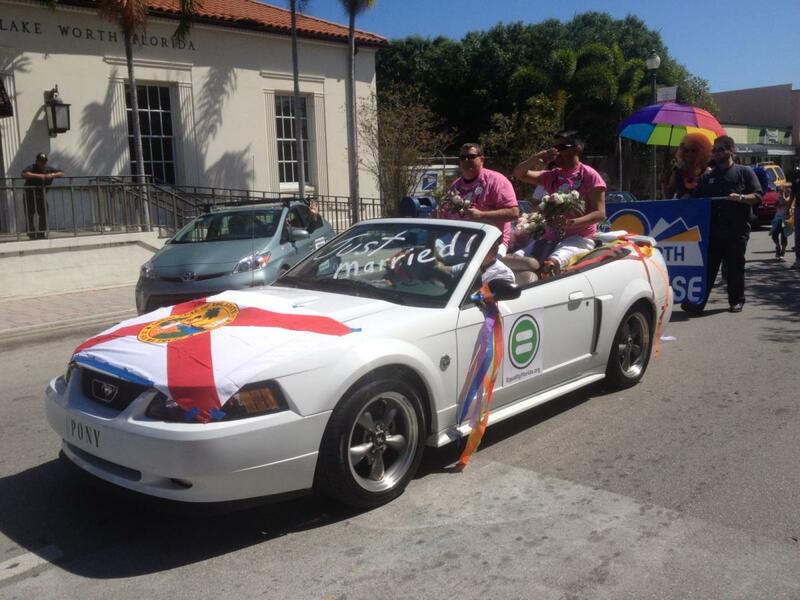 Equality Florida marched in the parade on Sunday, alongside newlyweds Matt Chambers and William Davis. Allan Hendricks, our local volunteer leader, helped pass out miniature bouquets to celebrate the occasion! Overall the event was a huge success. Thank you to every volunteer who helped make the day great! It’s officially pride season, folks!